1- Our Turquoise Place condo rentals are privately owned second homes. This means that your condo rental has not been furnished like a hotel, rather by loving home owners who have put thought and care into their condominium. 2- Prickett Properties is a boutique property management company who truly cares about our guests experience at Turquoise Place. We are only managing a select number of condos at Turquoise Place and can give the condos as well as our guests the optimal attention they deserve. 3- Daniel Prickett, the owner of Prickett Properties, is personally involved in the day to day activities of our property management company to ensure that our guests have a care-free vacation at Turquoise Place. The other members of our staff are also available 24 hours a day to make sure that no need goes untaken care of ! 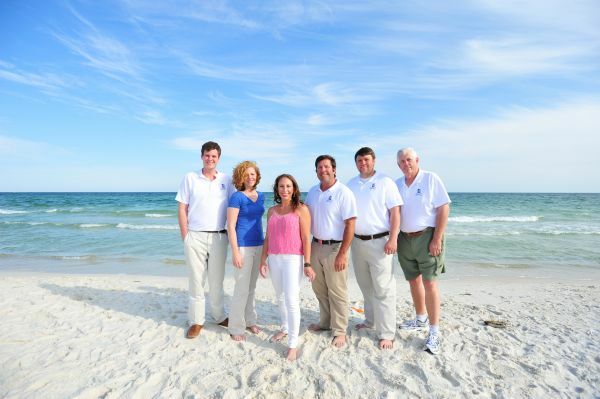 4- Prickett Properties office is conveniently located at 4098 Orange Beach Blvd (a.ka. Hwy 161), and within only a few miles from Turquoise Place. Our convenient location enables us to respond to your needs within minutes notice. By renting through Prickett Properties, you will have the option of adding additional housekeeping services during your stay by calling us at 1-800-210-7914. Also, we are on call 24 hours a day to handle any maintenance emergency that might arise. Properties has hundreds of repeat guests who rave about our service and of course our condos at Turquoise Place. We look forward to booking your vacation at Turquoise Place! © 2019 Copyright Prickett Properties, LLC. All rights reserved.